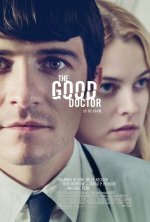 The Good Doctor Movie Do No Harm. The Good Doctor release date was Friday, August 31, 2012. This was a Limited in theaters release. Martin Blake (Orlando Bloom) is an ambitious but anxious young doctor, eager to impress his superiors and colleagues: Chief Resident Waylans (Rob Morrow), self-assured fellow intern Dan (Troy Garity) and no-nonsense nurse Theresa (Taraji P. Henson). But things are not going Martin's way and he can't seem to shake off his insecurities. When 18-year-old patient Diane (Riley Keough) is admitted for a kidney infection, Martin steps in, getting the much-needed boost of self-esteem he craves. But things take a dark turn as his enthusiasm begins to become an obsession.